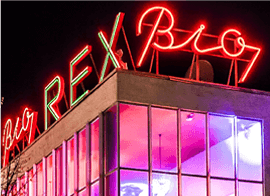 Bio Rex at Lasipalatsi is an event and function space in the centre of Helsinki. It’s easy to get here and be here – at Bio Rex, your event will shine. 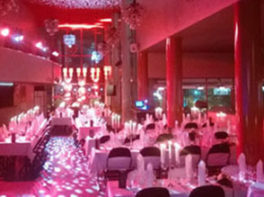 The functionalist Lasipalatsi building offers a rich variety of possibilities for different events: this is an excellent place to hold functions, seminars, conferences, exhibitions and fairs. 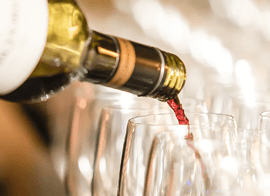 It combines a functional and personal atmosphere, high-level catering and extensive additional services – everything you need for a successful event. Read about our facilities and services and ask us for a quote. Bio Rex at Lasipalatsi is part of the Amos Anderson Art Museum’s Amos Rex. The cinema auditorium and foyers are an excellent choice for all sorts of functions, meetings, seminars and other events. Spaces, food and technology – we offer everything you need to organise a successful event. Ask about our planning service, too. How can we serve you? Leave us a request for a quote and we’ll be in touch as soon as possible.